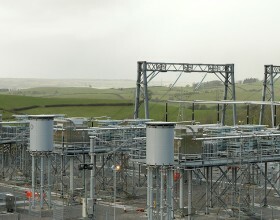 As part of the major FACTS (Flexible Alternating Current Transmission System) project by National Grid to boost the flow of electricity from Scotland to England cutting edge design TCSC (thyristor controlled series compensation) equipment was required at the Hutton 400 kV Hutton Substation near Kendal in Cumbria. 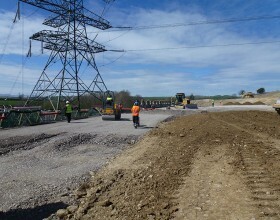 This exciting project is part of National Grid’s strategy for the electricity transmission network to achieve the national target of 15% of the UK’s energy to be produced from renewable energy sources by 2020. 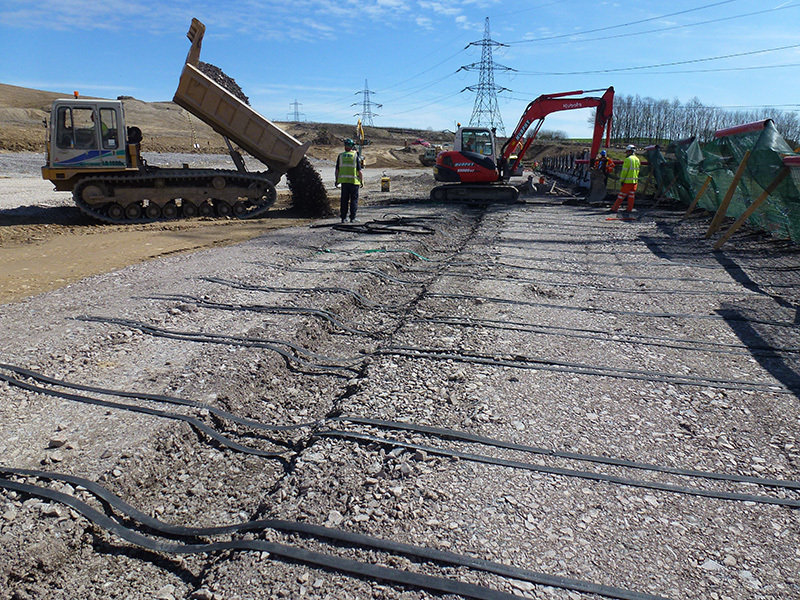 The series compensation equipment improves power system stability and allows more power to be transferred through existing circuits. 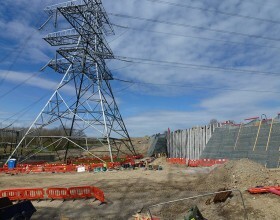 It uses thyristor control to increase the flow of power, mitigate subsynchronous resonance and ensures stability in the power supply grid system. 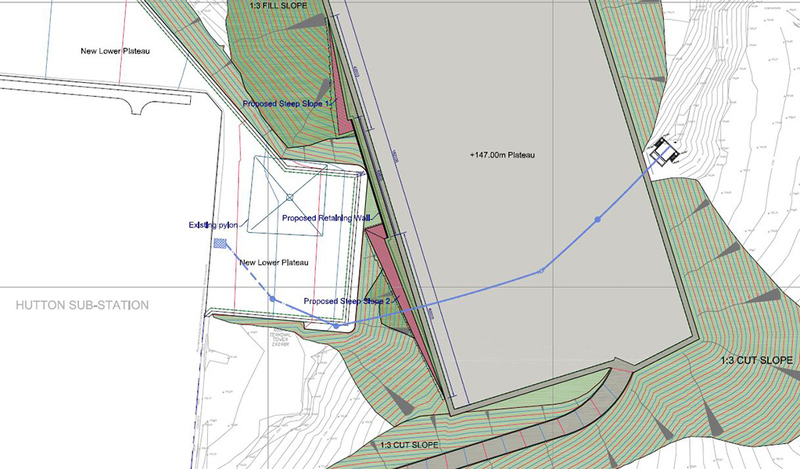 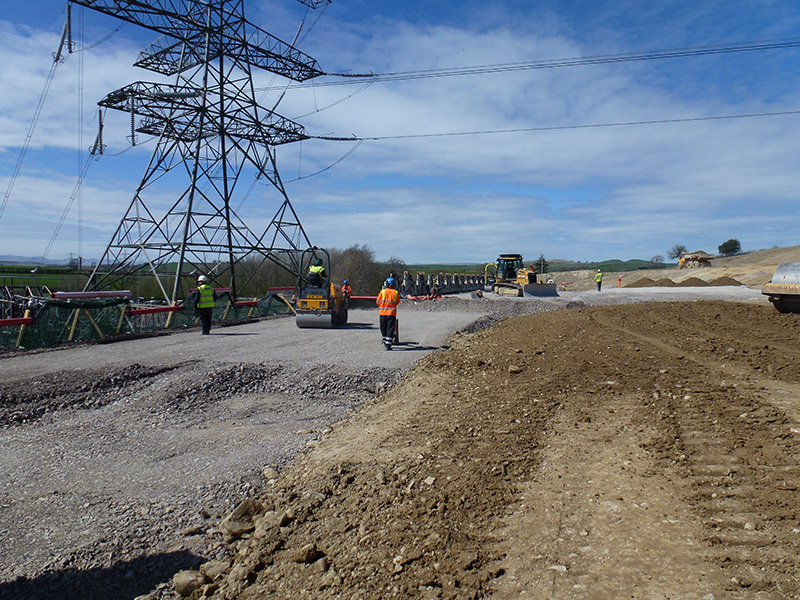 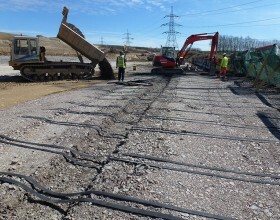 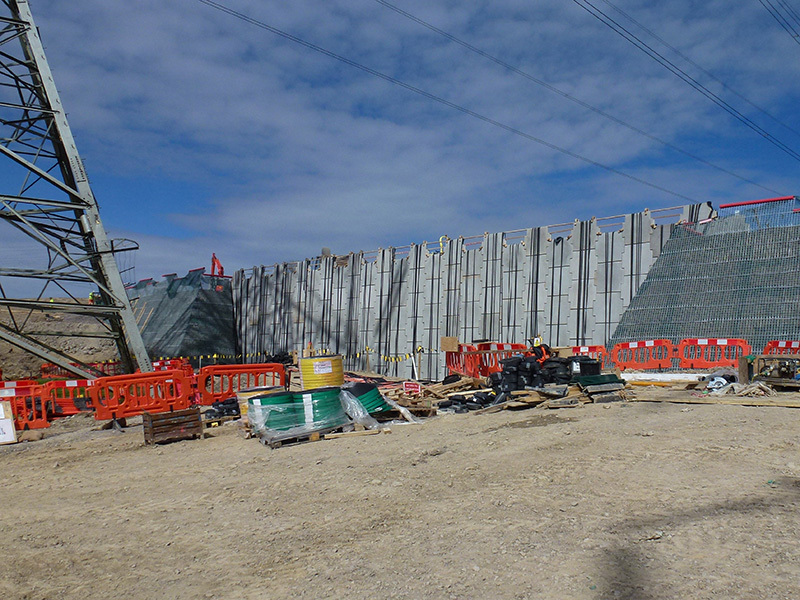 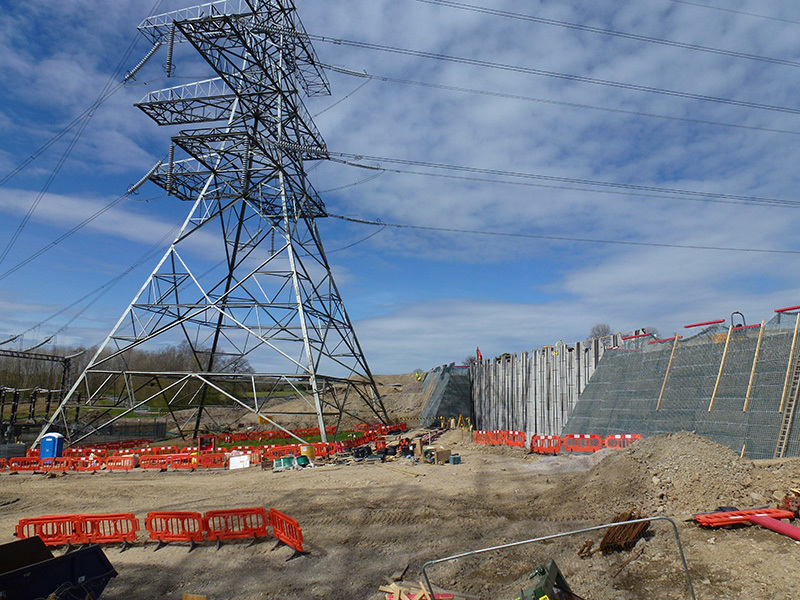 A key element in the scheme was the requirement to reprofile the existing severely sloping site to create a platform for the installation of the new equipment whilst maintaining the operation of the existing substation. 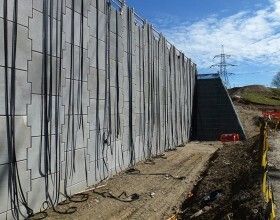 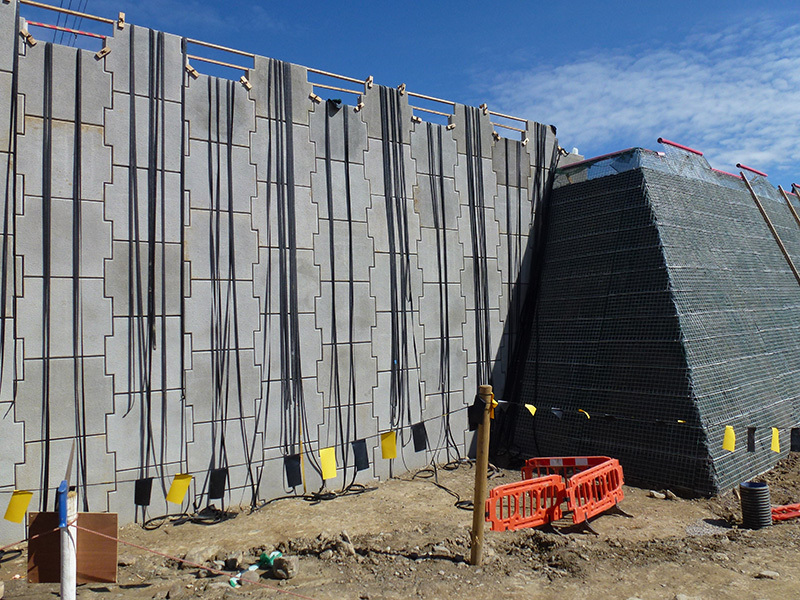 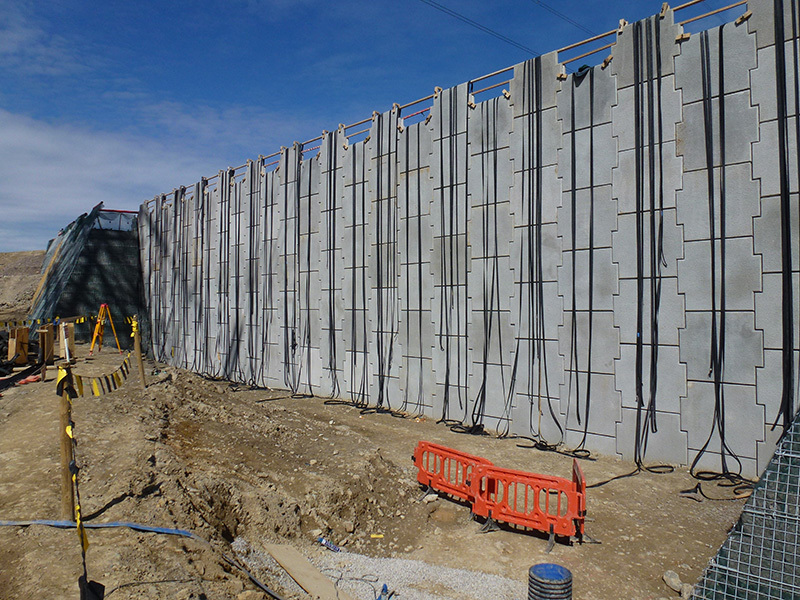 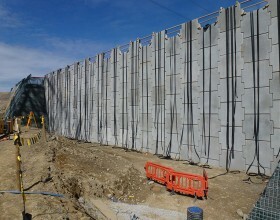 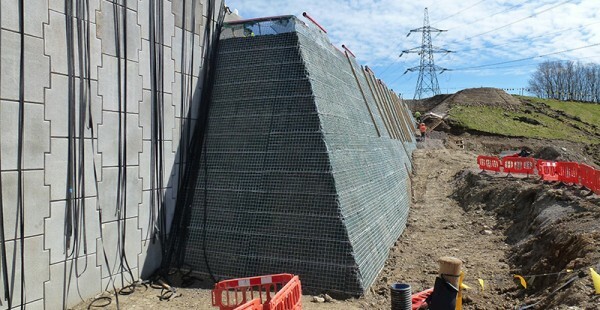 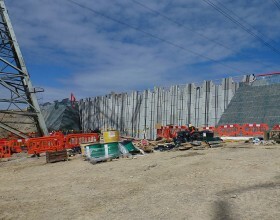 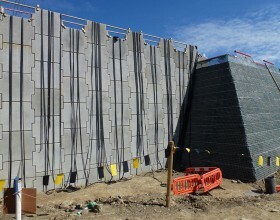 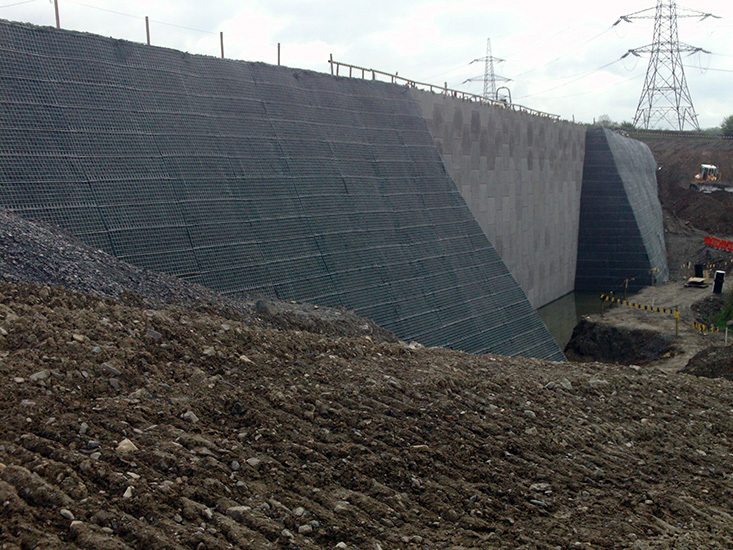 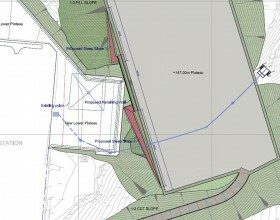 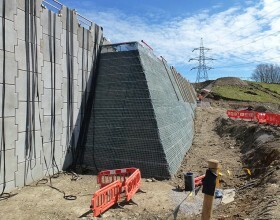 PaSCoE were appointed by WSP Group to design an earth retaining wall system capable of being constructed to a height of 14m and able to support a 400kN pad load set 2m back from the top of the wall face – with the wall construction to be completed within a period of 6 weeks. 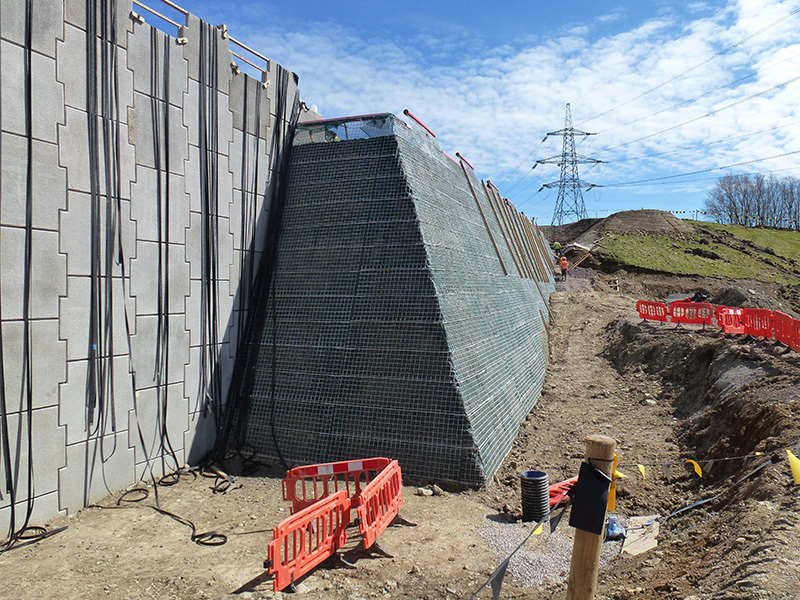 The solution was to use a combination of a reinforced soil panel wall and reinforced soil embankments supplied by The Reinforced Earth Company. 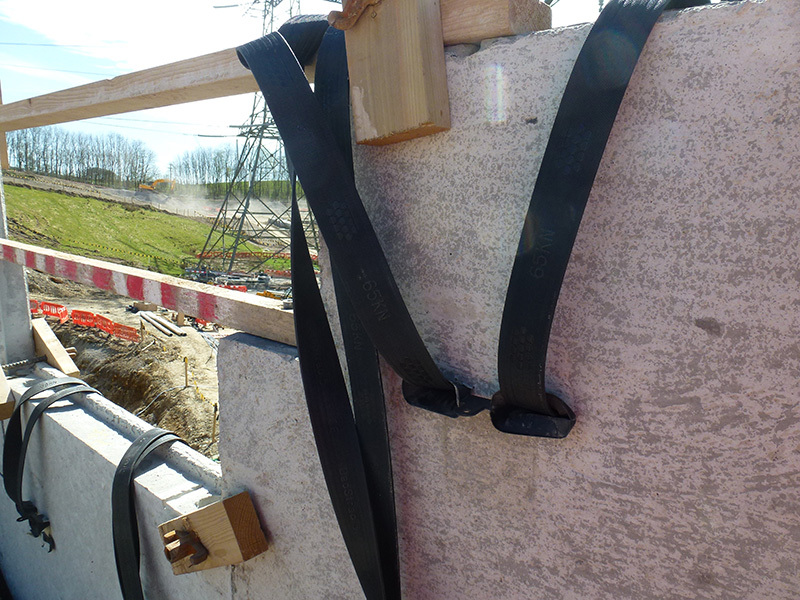 Due to concerns related to enhanced corrosion of steel reinforcing elements the system selected used only polymeric reinforcements (GeoStrap) and connectors (GeoMega Connection System). 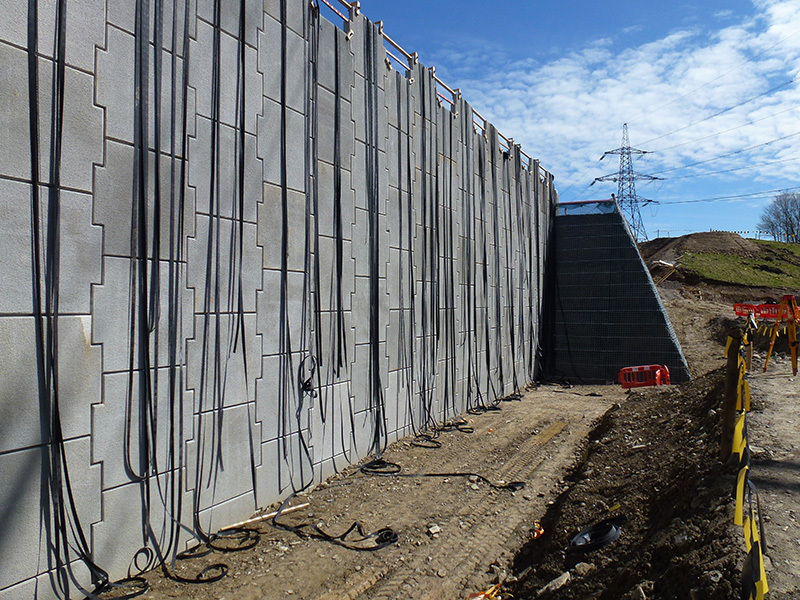 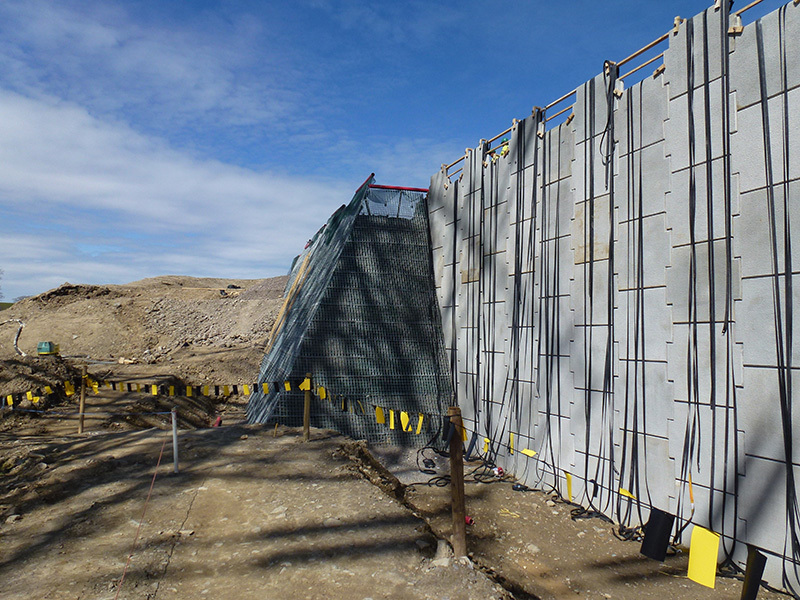 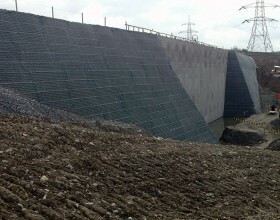 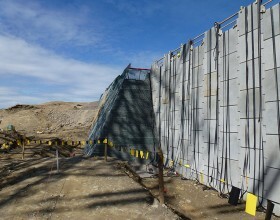 Due to favourable weather conditions the walls and embankments were completed ahead of schedule.